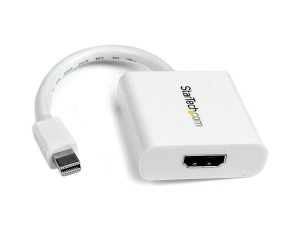 The MDP2HDW passive Mini DisplayPort to HDMI Video Adapter/Converter (White) offers a convenient HDMI/Mini-DisplayPort link, which enables you to connect an HDMI computer monitor or television to a device with a Mini-DisplayPort output, while saving the expense of upgrading the monitor for compatibility. The adapter supports high resolution output up to 1920x1200, offering a high quality solution for mirroring or extending a computer desktop onto a second display. 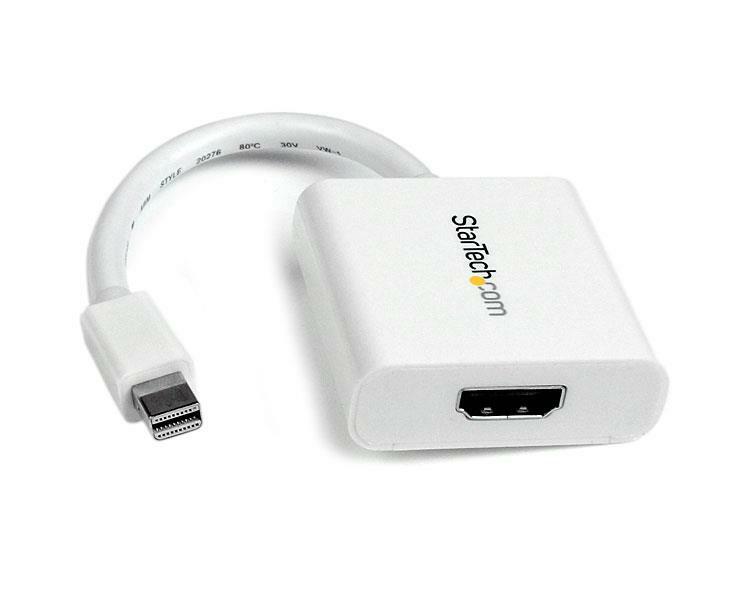 This versatile Mini DisplayPort to HDMI adapter requires a multimode DisplayPort port (DisplayPort ++) connection to function, and is compatible with Intel Thunderbolt output when connected directly to a supporting DisplayPort over Thunderbolt I/O port. This adapter allows for audio pass-through if supported by the video source. Please review the video source manual to confirm support.